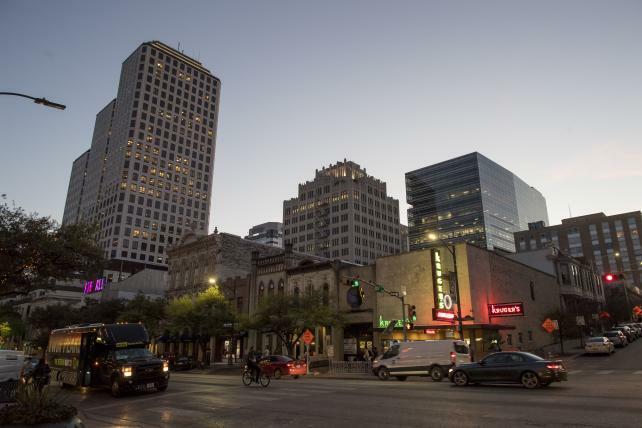 Austin, Texas, is preparing for the annual SXSW festival to begin. South by Southwest is taking a hard look at #MeToo. Amid the raucous parties and speed networking at the annual festival that draws people from technology, film, and music to Austin, Texas, there will be some soul searching about gender discrimination, sexual harassment and how to fix the broken workplace culture. But SXSW doesn't have a very strong track record in dealing with gender issues. Three years ago it mishandled the debate over GamerGate by offering a bully pulpit to men accused of online harassment and then canceling a feminism session over security concerns. This year the organization promises to do better. Over the course of 10 days there will be more than 50 panels and events focused on sexual harassment or gender parity. Some of those panels take a look at the #MeToo movement—a social media designation that aims to show how widespread sexual harassment is—and steps that women can take to rewrite gender norms, with descriptions like: "Society is realizing what women knew all along—the patriarchy is damaging." Others address specific industries, such as venture capital and entrepreneurship. "We are very conscious of the #MeToo movement and the power of this moment within our community," says Hugh Forrest, SXSW's chief programming officer. "That was one of the big goals in terms of what we were curating. Given the times that we're in, it's been an even bigger focus than ever before." Over the past year almost every industry has been forced to reckon with sexual harassment and gender discrimination, following revelations from dozens of actresses recounting decades of sexual misconduct at the hands of Harvey Weinstein. In the technology sector, the acknowledgment began even earlier, when an engineer detailed the sexism she faced while working at Uber Technologies. Susan Fowler's 3,000-word essay exposed a corporate structure that protected high-performing men who were accused of harassment. Soon after, a cascade of allegations came out about the systematic, unwanted advances that several male venture capitalists have made toward female entrepreneurs. This year's festival, opening on Friday, a day after International Women's Day, plans to address the culture straight on, starting with ensuring every panel has at least one woman on it. OpenTable CEO Christa Quarles will speak about how businesses can create inclusive company cultures, and address the sexism that has "long been endemic to workplaces from Silicon Valley to America's finest restaurant kitchens." Uber Chief Brand Officer Bozoma Saint John is slated to discuss how the ride-hailing giant changed its culture. Jay Fulcher, the CEO of Zenefits, a human resources software company that had been mired in scandals after growing too quickly, will speak on a panel that looks at "the well-documented breakdown in the culture and values of Silicon Valley." Autumn Manning, who heads employee management company YouEarnedIt, will be on the panel with Fulcher. Manning has attended SXSW several times, but she says this year will be markedly different. "This highlights the fact that companies and leadership are prioritizing culture in a way they have not in the past," Manning says. "A big part of the panel is de-mystifying the definition of culture and making sure people walk away understanding that a company's values, transparency and behavior 100 percent starts at the top with executive leadership." Hunter Walk, a partner at venture firm Homebrew Management, will be on a panel titled "How Can Venture Capital Achieve Gender Parity?" with three women—Soraya Darabi from Trail Mix Ventures; Natalia Quintero of Parity Partners and Doree Shafrir, a writer. Walk says he hasn't attended SXSW for about five years, and is only going this year to speak on this panel. "I want to deliver the message that we could be moving faster on being gender inclusive in venture," Walk says. "I'm not naive in terms of the friction created for women in the industry, but I sit in a position of privilege, so it's hard to understand all the things I could be doing." The emphasis on diversity discussions this year harkens back to a few years ago, when SXSW made a contentious decision surrounding GamerGate, a monthslong harassment campaign that targeted several women in the video game industry. The abusive behavior highlighted the need for discourse about inclusion of women in male-dominated industries. SXSW's 2016 program lineup featured a panel with people associated with GamerGate, as well as one on fixing harassment in games. But due to threats of harassment to the harassment panel, SXSW canceled it (and later reinstated it after outcries from media and sponsors). Forrest said that since the GamerGate controversy, the conference has implemented a code of conduct that lets SXSW take action on people that participate in disruptive or abusive behavior. This year, the conference will set up a 24/7 hotline for attendees that have issues with harassment at the event, as well as confidential walk-in services.